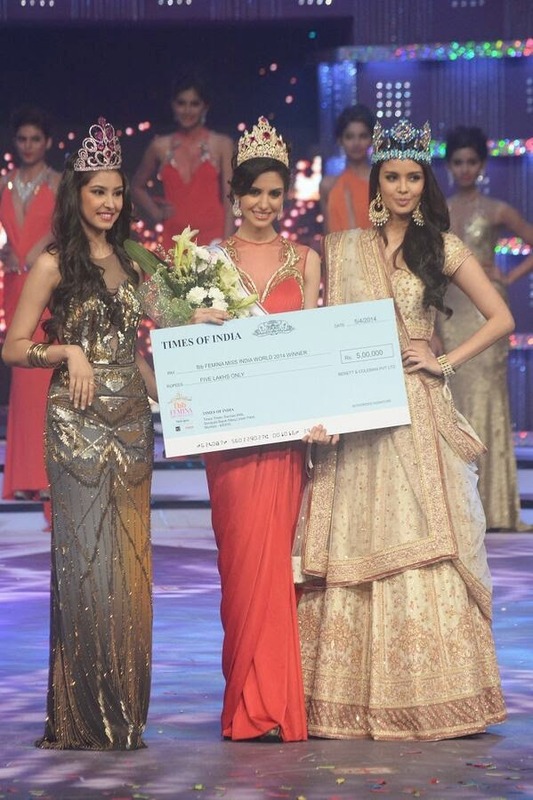 21-year old Koyal Rana from New Delhi was crowned fbb Femina Miss India 2014 at the conclusion of the annual event. She was crowned by the reigning Miss World 2013 Megan Young from the Philippines. Standing 174cm tall, Koyal is a student at Delhi University, Koyal and she will be the official representative of India in the 2014 Miss World competition in London (England) in November. She also won the Femina “Beauty with a Purpose” Award. The 1st and 2nd runners-up were Jhataleka Malhotra and Gail Nicole Da Silva. Megan Young and Miss World CEO Julia Morley were guests of honor at the Gala. The top 10 finalists were Simran Khandelwal, Amarjot Kaur, Nikhila Nandgopal, Ashwati Ramesh, Lopamudra Raut, Gail Da’Silva, Koyal Rana, Jantee Hazarika, Jhataleka Malhotra, Irshikaa Mehrotra. The army of judges included personalities like Actor Vidyut Jamwal, Aditi Rao Hydari, Malaika Arora Khan, Abhay Deol, Jacqueline Fernandez, Ace Fashion Designer Manish Malhotra, Singing sensation Honey Singh, Miss World 2013 Megan Young and World Champion Boxer Vijender Singh.